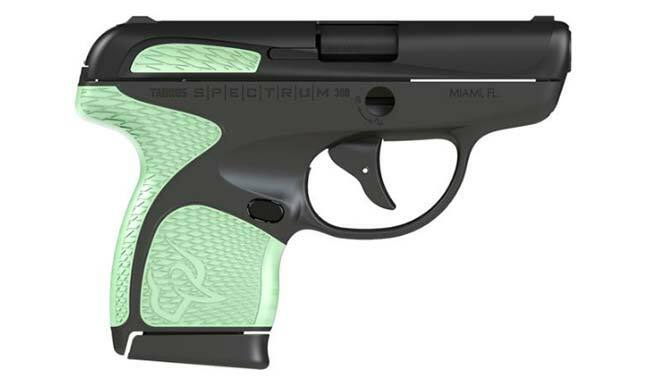 Taurus will be introducing a new pistol into the US marketplace later this quarter. 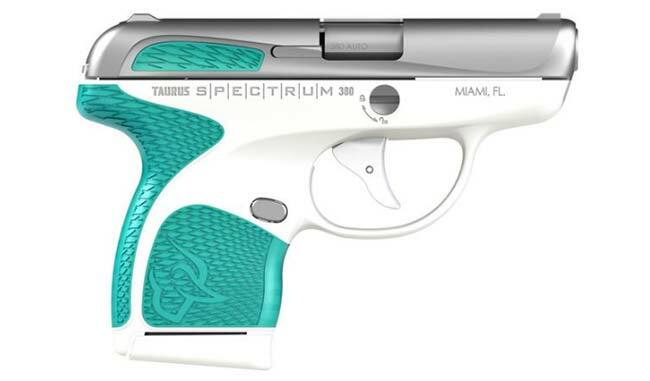 There has been a lot of wild stories circulating about the new Taurus Spectrum. The link below is an article from the American Rifleman that gives Taurus owners a fair interpretation of what this new pistol will offer. As I get more info on this gun I will post it up here. Tuco_Ramírez, switchbow, mingaa and 15 others like this. Would probably buy one. Nice looking design. SMOOOOOOTH! Would certainly opt for one of the more subdued color combos though. 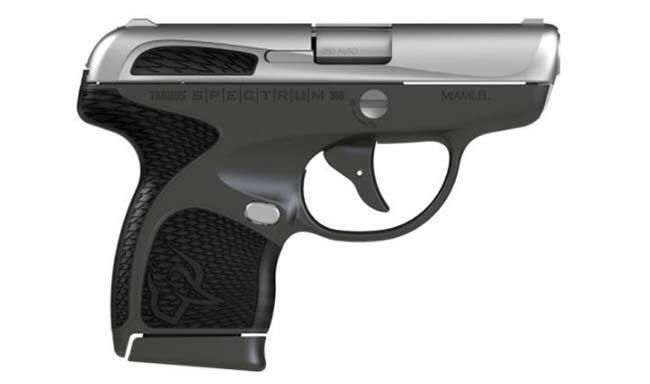 Silverbullit and Steyr like this. Great article for what looks to be a great pistol. 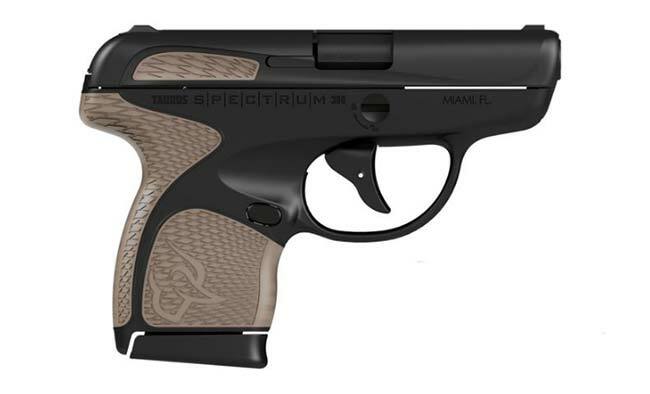 I'm in the market for a lightweight .380 pocket pistol for casual Summer carry, (my current carry has proven uncomfortable for Summer carry during the heat of last Summer) and the Taurus Spectrum looks ideal. I only hope that they'll be available in time for Summer. The look reminds me a little bit of the Walther PPK as well as the Vektor CP1, which is nice since the PPK is one of my favorite guns from an aesthetic standpoint, and my current carry is a S&W PPK/S-1. Last edited by Tuco_Ramírez; 01-07-2017 at 12:53 PM. MilProGuy and Steyr like this. I can't wait to look at one of these. That being said, I'm not sure what would make me buy a new pistol to replace the TCP that I am happy with now, but time will tell. Falstaff, GhostHorse, K9s and 1 others like this. The Spectrum may be my 1st .380 pistol purchase,the snag proof design and revolver like DAO trigger looks like a winner for pocket carry. Thank you for the heads up BS! Just SOME of the variations of the gun. 3legdog, MilProGuy, RalphG2 and 2 others like this. That looks nice! I may just look at these a little closer when they come out and pick one up. Also read an articles in other mags - looks real interesting, and it is being built in Florida. Interesting statements in the article about Customer Service. My new pistol...but it's not a Taurus. What Taurus 9mm pistols interchange magazines with the PT92 9mm Taurus Pistol? Taurus Repairs -- how long did Taurus keep your pistol?